Gazprom’s flows to Europe in November were stable (-0.1%) compared with October, but down by 5.1% on November 2017. Gazprom’s flows to Europe in November were stable (-0.1%) compared with October, but down by 5.1% on November 2017. This can be explained by a surge in LNG regas at the EU level, as record shipping rates are making reloadings uneconomical. 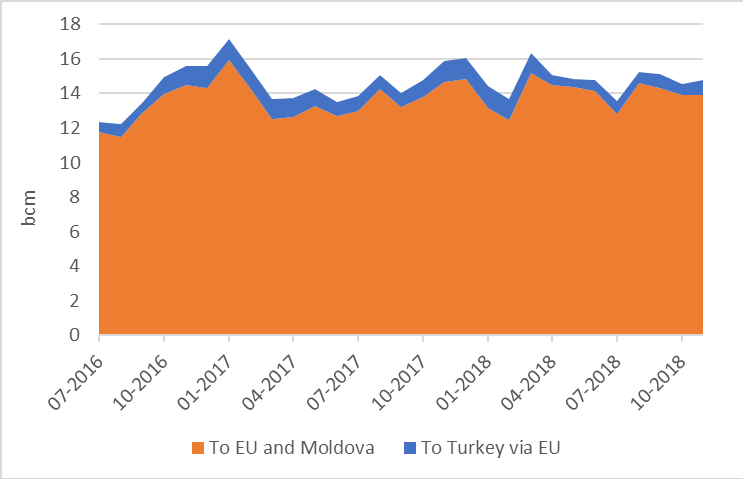 The EU is benefiting from an efficient gas market that can attract the cheapest gas; it was more Russian gas this summer and could be more LNG this winter. 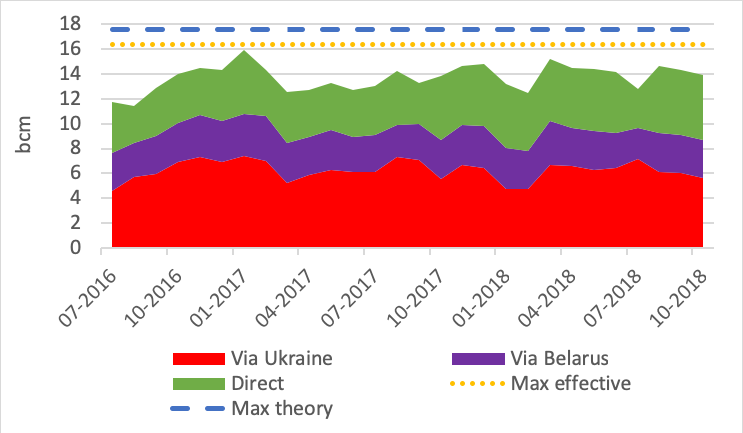 In November, for once, Gazprom decreased its volume sold directly through Nord Stream (-6.4% vs October) to the EU in favour of increased transit volumes through Ukraine (+7% vs October). This year could therefore end up with EU gas demand down year-on-year and Gazprom exports reaching a record high, before falling next year as more LNG comes in.